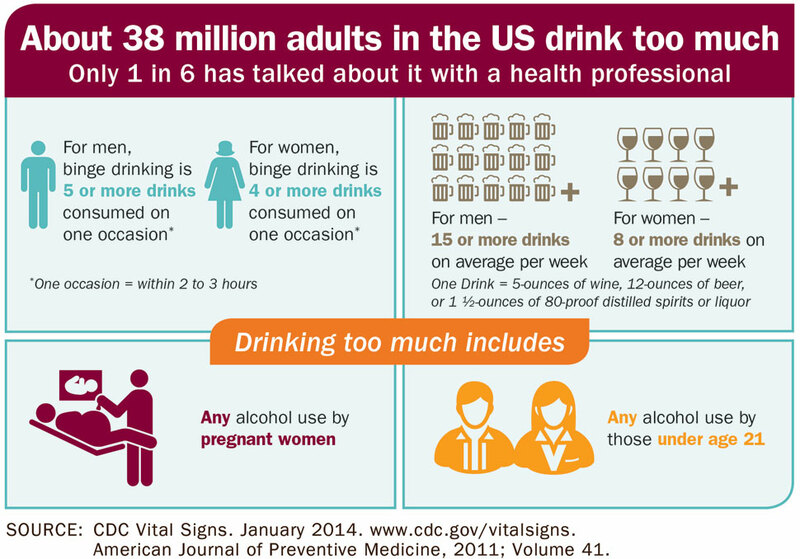 At least 38 million adults in the US drink too much. 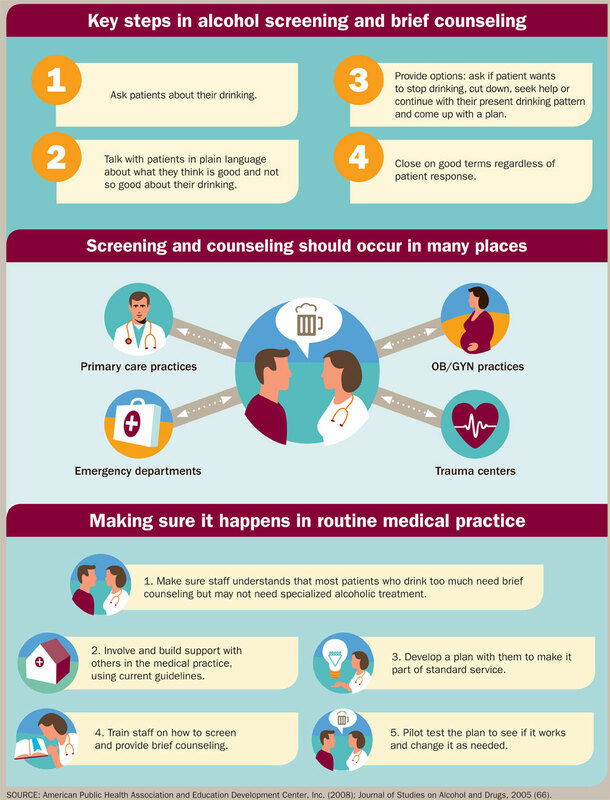 Only 1 out of 6 adults talk with their doctor, nurse, or other professional about their drinking. 25%. The amount screening and brief counseling can reduce drinking on an occasion among those who drink too much. These are some of the findings presented in the report that details the problem, what’s being done, and what we can do ourselves. Also, check out these very nice infographics!